Hello Shanghai by Daphne Oliveros | Bringing together stories, rooms, life. We left Vietnam where the weather was a hot and humid 97 degrees and traveled 4107 miles to Shanghai where it was 40 degrees! Talk about contrast! 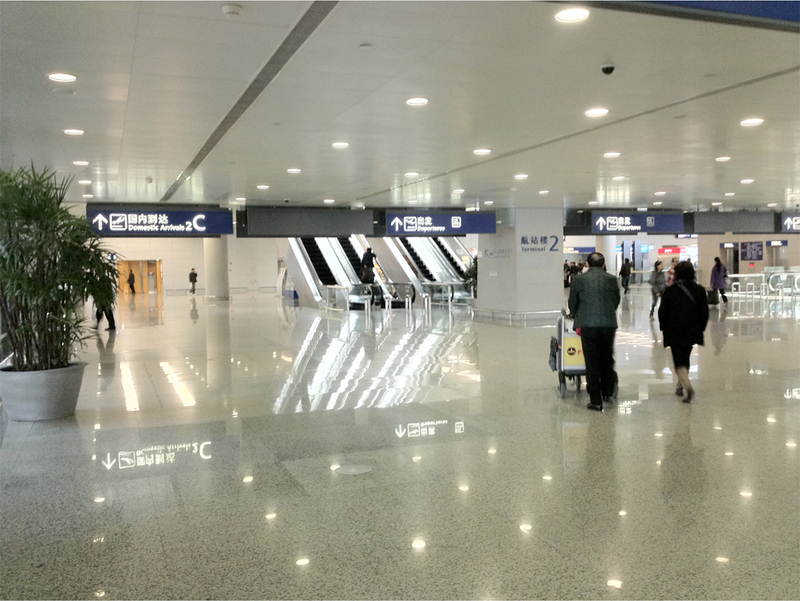 The Pu Dong International Airport is very modern and very clean. We spent time visiting factories and personal time for SHOPPING! First the factories. One of our major leather vendor is Natuzzi Editions. They recently opened up a new factory in Shanghai that is 88,000 square meters. Eight is apparently a very lucky number to the Chinese people. 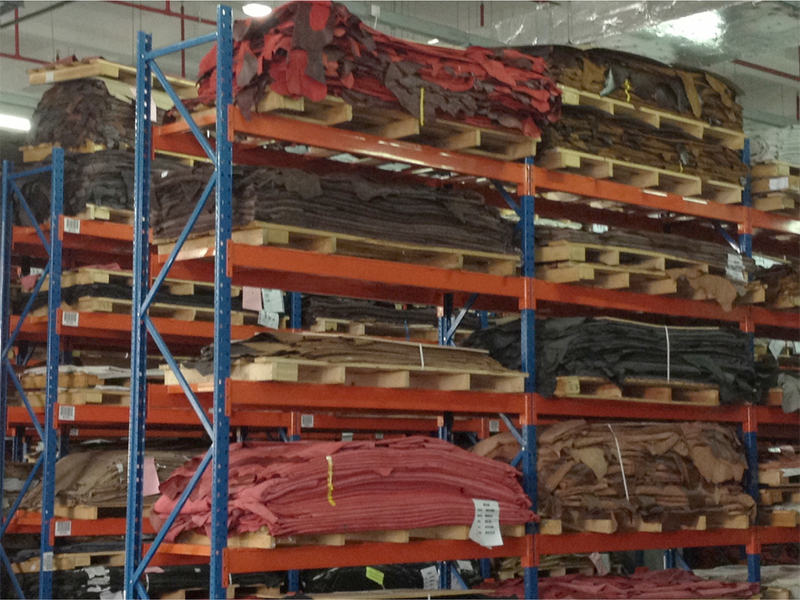 They import about 60% of their leathers from Italy, 38% from Brazil and about 2% from China tanneries. Merchandise Managers Patrick Lee (center) and Caroline Oshiro-Otsuka (right) see how the leather hides are inspected and checked for accuracy in thickness, color, and quality. 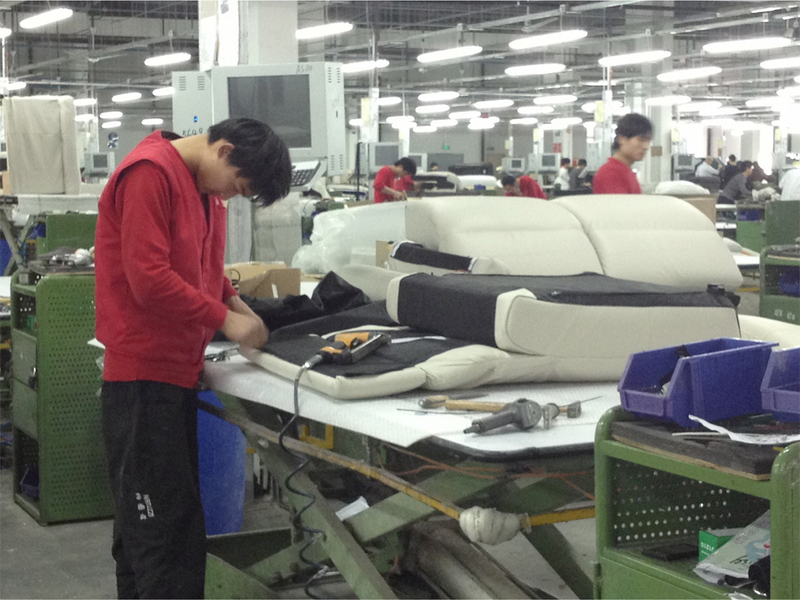 Once the cutter has inspected the leather and noted areas not suitable for the main parts of the sofa, the pattern is laid out and individually cut. After all the raw materials are produced it is taken to the second floor where the assembling of the piece is done. Depending on the complexity of the design, one person can produce between 5-10 pieces per day. We left the Natuzzi Editions factory with a new found appreciation for all the steps and hands that are involved in making each piece of sofa, loveseat, and chair. We are proud to be able to bring this line to you in our showrooms. 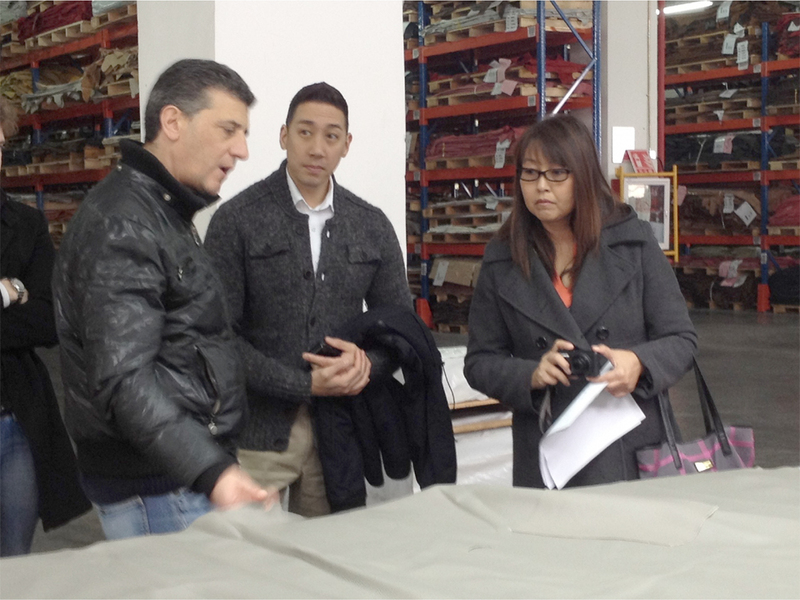 A big thank you to Stephano and the rest of the management of Natuzzi Group Shanghai for taking time out of their busy schedule to show us the factory. I’ll share some shopping highlights in my next blog. Have you noticed in your 27 years a deterioration in the quality of furniture and the level of integrity of materials used. Perhaps you may not notice if you are concerned with the production and selling more than the actual wearability and use. We have just received a “Natuzzi Edition” pair of sofas and both were in an appalling state and the manager refused to acknowledge the extent of the trouble passing it off as minor what both my husband and I consider shocking. I have bought furniture in the past and it lasted a reasonable time at least 16 years.. and superior in every way to the poor quality workmanship and material that was sent to us from China. We were told it was Italian leather but your article says only 60% is Italian. The interior beggars belief. Chipboard and compressed sawdust, staples that weren’t imbedded in anything the ends exposed. Corner blocks not butted against wood in the frame barely in place. Barest of webbing and strands missing. creaking noisy seats; creases across the entire face of the leather and gathers where they should have been straight seams. Some sections near the base unstitched while others in a similiar position were stitched. Holes in the padding about the size of a head. Empty corners so the shape was unrecognisable and the arms were padded so that standing back each one looked different. They have been made by someone other than craftsmen, more like a untrained staff member has been put on upholstery duty and has been given no real training. These are the sofas I had delivered to my door and abandoned.. and now we have a Natuzzi representative store manger who is failing to take seriously the issues I have raised with him about them, deflecting my issues and attempting to whitewashing my concerns. Thanks for writing to us about this unfortunate incident. We are terribly sorry about your experience. Out of curiosity, where are you writing from and what store did you make your purchase from? 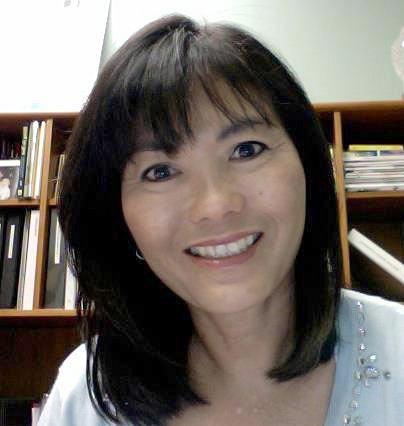 Our stores are located only in Hawaii and we presently do not deliver to customers outside of Hawaii. We hope your situation can be resolved soon. This entry was posted on March 19, 2012 by C. S. Wo & Sons, Ltd. in Furniture and tagged furniture, furniture factories, leather, leather manufacturing, leather sofas, Natuzzi Editions, Shanghai.